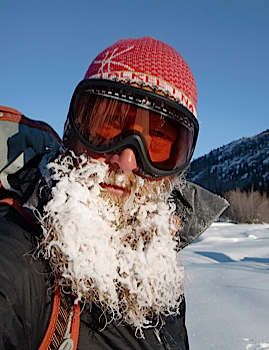 Scott’s rugged toughness is definitely represented in his amazing beard (we dare you to compete for awesome facial hair!). 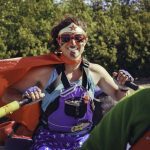 He is strong as an ox and competes in wilderness and multi-sport races (and generally wins or at least does quite well). He also dominated the pie eating contest at McCarthy’s 2012 4th of July games (you have to feed all that energy somehow!). What you might not guess about Scott is that he has an undergraduate degree in philosophy, a graduate degree in the arts, and that he spent several years working as a nanny for very young children. After teaching climbing to kids, driving vans in Denali, and generally building his hard-core-ness to unprecedented levels, Scott joined our team in 2012 and quickly became a leader amongst the crew. 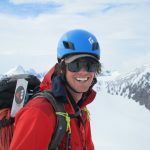 He is now one of our lead mountaineering and ski mountaineering guides, and also enjoys enthusiastically explaining the local history, leading a casual glacier hike with a family or floating down a remote glacial river with a group of retirees. One of Scott’s favorite trips to guide in Wrangell-St. Elias is our First Ascents Expedition. He loves exploring new mountains to climb in the Wrangells! So if your path happens to cross with Scott’s, make sure you ask him for some stories. He’ll be able to provide.